OUR BESOMS ARE TRADITIONALLY HAND CRAFTED with willow ties on ash or hazel handles. 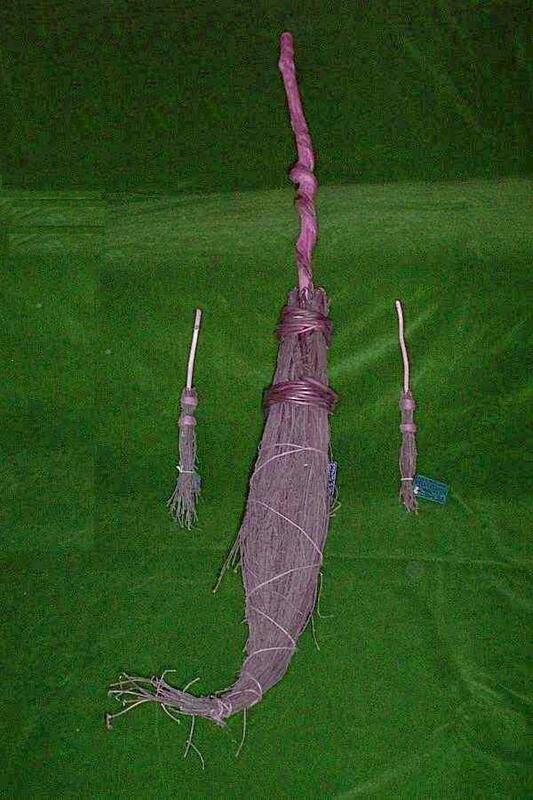 ABOUT 4ft 6" IN LENGTH, AND THEY ARE EXTREMELY POPULAR - SO PLEASE EMAIL FOR CURRENT STOCK LEVELS. We are trying to find a reasonable shipper, but at the moment we regret the full sized besoms cannot be shipped worldwide! Also please note that due to our mew supplier being many miles away, supplies tend to be sporadic - it may be several months before we are able to get more, so please contact us before ordering unless you are very patient!!!!! Approx 3ft 6". These wonderful unique items are properly made following Celtic tree lore, containing no metal, from traditional timbers and twitches. Hand crafted locally, from named traditional timbers, and double strung with good quality sizal. 12" - 24 " long. 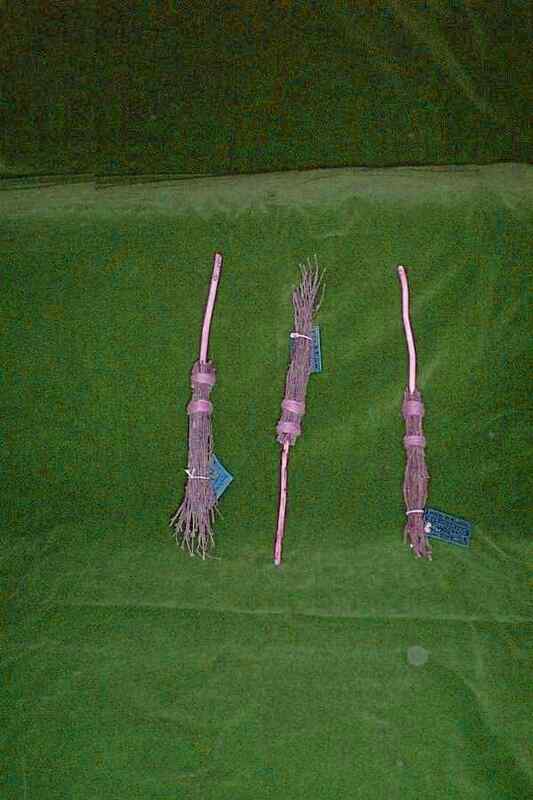 These may be small, but they are full of magickal energy - and they certainly work for clearing that sacred space! 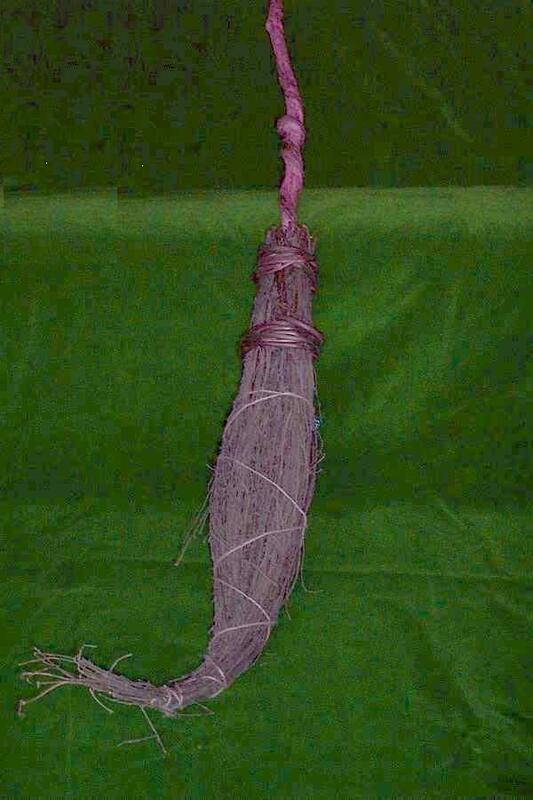 still hazel and birch - this is a working yard broom made to traditional methods but wire bound for strength and durability. * Please note that due to shipping costs we are currently unable to ship Besoms outside the UK. Profound apologies.